The city quietly paid $750,000 to a man who claimed an assault by police officers blinded him in one eye. The secret payment to Dudley Scott is revealed in the city’s checkbook registry obtained by Rochester for All through an open records request. The February check settling a lawsuit filed by Scott was made out to the city’s insurance company. Scott filed a federal lawsuit against the city in January 2017. He claimed officers pulled him over on Maple St. in August 2014. Scott claims officers repeatedly punched and kicked him while he was handcuffed and not resisting. The lawsuit doesn’t indicate whether Scott ever faced charges. The city denied Scott’s claims in responding papers. A judge denied the city’s motion to dismiss all of Scott’s claims. Scott’s attorney said he and his client cannot discuss the case. “I would love to speak with you. However, under the terms of the settlement Dudley and I are prohibited from discussing the case,” said David Johns. Scott’s brother, Septimus Scott, has a pending federal lawsuit against Rochester police. In the lawsuit filed in June 2017, he claims he was pulled over by Rochester police in May 2015 and accused of driving drunk. Septimus Scott said he was the designated driver for his friends, and the police were not able to administer the breathalyzer because it malfunctioned. Septimus Scott claims police used excessive force during his arrest. He was charged with driving while intoxicated, resisting arrest, driving the wrong way on a one-way street and driving without a license. After spending seven weeks in jail, the charges were dropped. Septimus Scott’s attorney says he is an Iraq war veteran who suffered a leg injury and has PTSD. A judge denied the city’s motion to dismiss all of Septimus Scott’s claims. The case will be in court in February for a status conference. All discovery is to be completed by March. 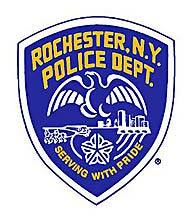 The City of Rochester has a budget exceeding $550 million. Much of that spending takes place out of the public view. There are no line items in the annual budget book for expenditures such as catered lunches or baseball tickets. City Council doesn’t vote on all business grants and loans. The spending also reveals settlements that are not made public. A good way to examine spending is to obtain the city checkbook registry. Through open records requests, we analyzed the city’s checkbook registries. This ongoing obstruction of justice, misogyny & racism at the hands of public servants is a complete denial of our unalienable rights. Where are the Monroe County Western District Judges when these matters occur? We are a community under siege. City of Rochester & Monroe County residents must demand an independent Federal Prosecutor and Investigation. How many more people are going to be destroyed at the hands of public servants? Unfortunately this type of behavior by cops is all too believable after the age of the smart phone with cameras that have recorded way too many incidents of misconduct and downright police brutality.